Cool and crisp lines define the unique shape of this contemporary pull and modernize your cabinetry with something out of the ordinary. 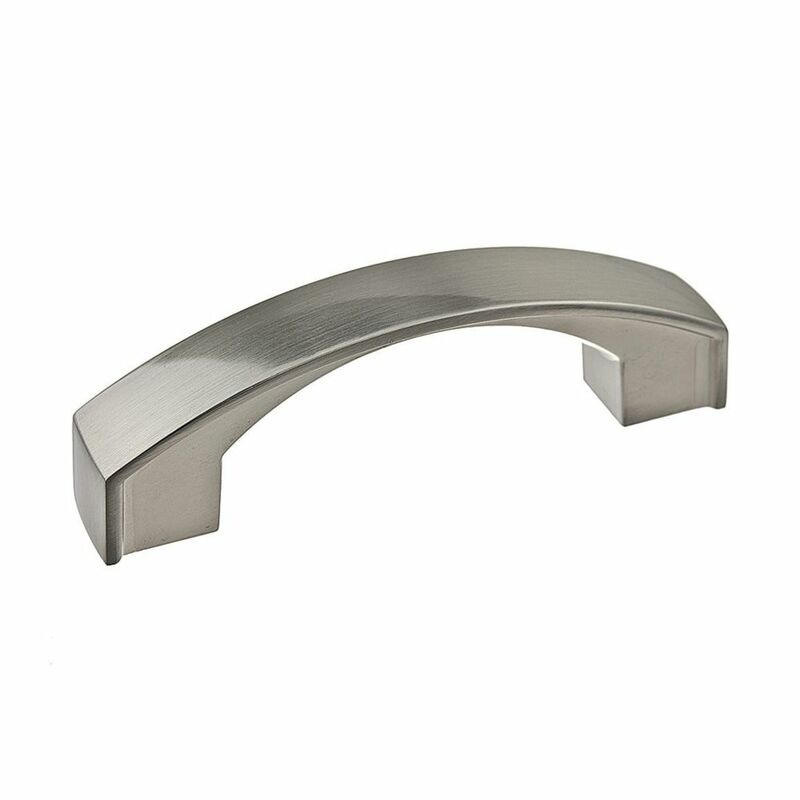 Transitional Metal Pull 3 in (76.2 mm) CtoC - Brushed Nickel - Boisbriand Collection Transitional bow pull by Richelieu brings new life to bathroom or kitchen cabinets and furniture. Its attractive wide curved design will surely upgrade any home design.